Having premiered at Busan and already received an award from Mumbai MAMI International Film Festival, “In the Shadows” is a very interesting movie that deals with the darkest depths of the human mind. The story unfolds around two axes. The first one revolves around Khudoos, a troubled man who spends his time in his house in the walled city of Old Delhi, obsessively monitoring the people in his neighborhood via a series of hidden cameras he has placed throughout the streets and alleys. His only friend, and in essence benefactor, is Ganeshi, who tries to help him any way he can, with little success though. Eventually, Khudoos takes wind of Idris, a boy who is abused by his father, outside of his cameras, and decides to take action. This “discovery” initiates the second axis, where we watch the life of Idris, his relationship with his loving mother and abusive father who works as a butcher and forcibly tries to teach him the job. As the two axes come closer, a concept much more complicated is revealed, while Khudoos obsession with the boy starts to take a toll on his mental health. Dipesh Jain elaborately directs a film that aims at retaining a sense of confusion and discomfort, which derives from both main characters and their state of mind. The unfolding of the story, until the shuttering finale is very well presented, although after a fashion, the plot twist becomes quite obvious. However, this does not fault the movie in any aspect, since Jain focuses on portraying the consequences of abuse, and the psychology of two people who are trapped in their house as much as they are in their minds. In this effort, Jain benefits the most by Kai Miedendorp’s cinematography that portrays the old city as a labyrinth that everyone tries to escape from but never succeeds, while the impressive, panoramic shots of the city provide the sole, but brief relief from this sense. The sense of claustrophobia and disorientation also benefits from Chris Witt’s editing, who keeps the two parallels well presented, but with a sense that something strange is going on. The acting is one of the production’s best assets. 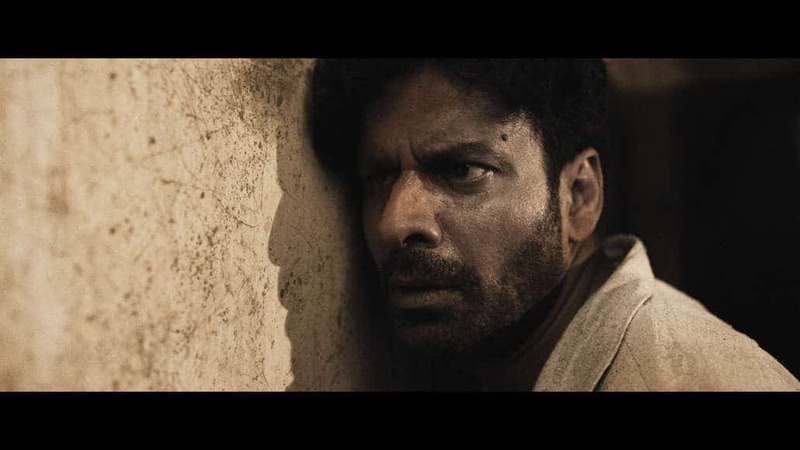 Manoj Bajpayee is impressive in presenting Khudoos’s constant discomfort and his downward spiral into paranoia, in the most realistic and naturalistic fashion, without many words, just through his eyes and body stance. Even more impressive is the fact that kid actor Om Singh accomplishes the same result with equal prowess, despite his age. The same applies to the peripheral roles, with Neeraj Kabi as Idris’s father highlighting an extremely passive-aggressive character while Ranvir Shorey as Ganeshi is equally convincing as a man willing to go to extremes to take care of his friend. Interview with Nishil Seth: I feel the behind the scenes could have been a movie in itself.